P20-30™ SLOPE « SP Green Energy Ltd.
- Adjustable (at first installation). - Ideal solution for areas with particular soil characteristics. 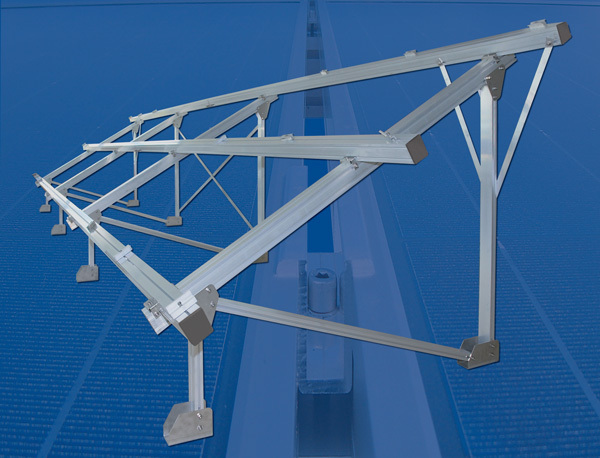 - Independent height adjustment of the mounting foot up to 200 mm offers unique advantage for the “absorption” of ground height differences. - Blocks the action of factors that may cause electrolysis and corrosion over time applying special treatment to the construction (optional).